You love your memory foam pillow for the way it cradles your head and give support but hate the way it becomes increasingly warmer as the hours of the night tick away? Well, then, why not give a memory foam gel pillow a try? It’s very similar to memory foam, minus its biggest drawback. Let’s take a look at a few of the differences. Your choice of pillow affects your sleep. A right pillow helps you get proper sleep so that you wake up refreshed both in the mind and the body. The wrong pillow, on the other hand, can disrupt your sleep, giving you more than a few aches and pains (We will learn about the risks associated with lack of sleep in just a short while). Memory foam makes for a good pillow filling because of its ability to mold itself to the contours your body. This allows it to evenly distribute your weight across its surface, ensuring your head cradles into it and you get better support. The bad part is that memory foam tends to retain heat. The longer you lay on it, the more heat from your head and neck it absorbs. That’s why many users complain about the pillow becoming warmer as the hours of the night tick away. 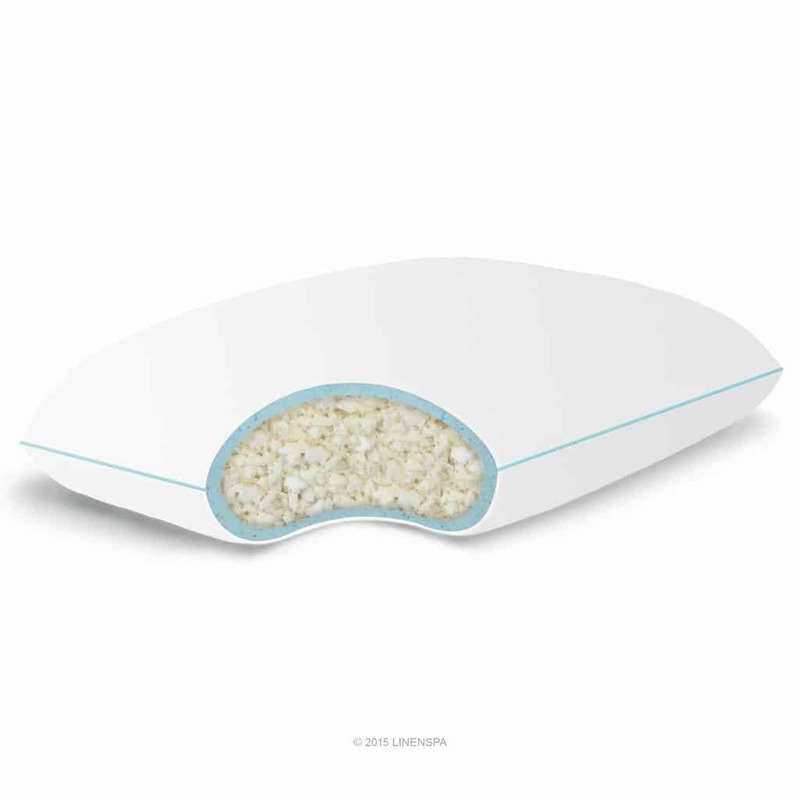 A memory foam gel pillow is something you might want to try. It gives you all the advantages of memory foam, plus a couple more. You can always go with any other type of pillow as well, but gel pillows are still a great option. 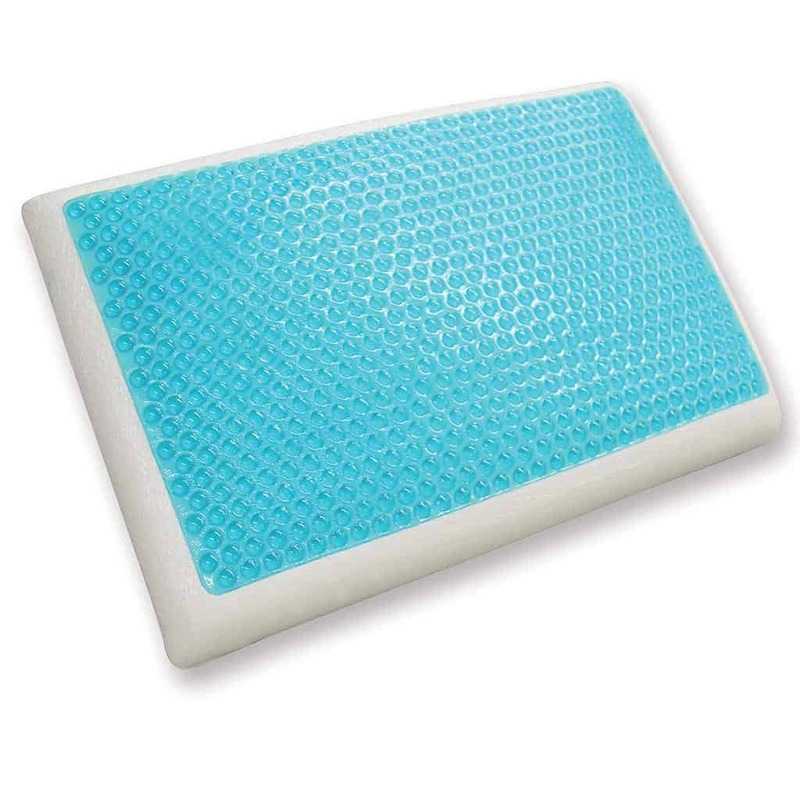 In a memory foam gel pillow, the cooling gel beads are bonded with the foam. These tiny beads allow the foam to breathe more easily, ensuring better temperature regulation. The gel beads also improves the strength of the foam, ensuring your head doesn’t sink into the pillow too deeply. Why exactly we should worry about sleep so much? Sleeping for less than 6-8 hours night after night could affect your immunity, making you more vulnerable to cold, cough, and flu. And the longer you ignore sleep, the worse the impact on your immune system. This in turn can increase your risk to more serious illnesses. How do you feel the next day after you’ve slept poorly in night? Grumpy and irritated, right? And perhaps you also suffer from reduced attention span and poor memory the whole of the next day. One episode of poor sleep does all this to us. What might happen if we don’t sleep for the recommended hours for a long time? The list of things that could happen is long and filled with names of severe conditions: reduced cognitive ability, memory loss, depression, mood disorders, depression, and anxiety. Take the cue, don’t ignore sleep. People with sleep problems have lower levels of leptin, a naturally-occurring chemical that promotes satiety, and ghrelin, a naturally-occurring chemical which plays a key role in controlling hunger and hunger stimulation. So if your sleep quality or quantity is less than optimal, you are likely to eat more food at one sitting and eat more often than usual. Prolonged lack of sleep affects the production of glucose, increasing the risk to diabetes type II. Since sugar is used by cells as fuel, you may feel less energetic throughout the day if you don’t sleep well. Studies show that lack of sleep could lower libido in both men and women. Poor sleep is also associated with increased stress, anxiety, and depression, three factors that affect libido as well as the ability to conceive. Apart from picking the right pillow, what else you can do to get a good sleep? Don’t drink coffee at least six hours before bedtime. Yes, you heard it right. A cup of coffee in the evening or late afternoon can keep you awake for a major part of the night. Drink herbal tea, instead of coffee. It induces sleep and also is purported to provide several other health benefits. Don’t keep a television, computer, and other entertainment gadgets in the bedroom. If you use the bedroom to work, it’s about time you change the habit. Remove these electronic items from the bedroom, as they could be the reason why you spend less time on the bed. Listen to binary beats. You might think of them as some kind of funky music, but they actually are sound waves within a specific wave frequency range and are known to promote relaxation. There’s a whole lot of science behind them; the important thing, though, is they do help you relax. 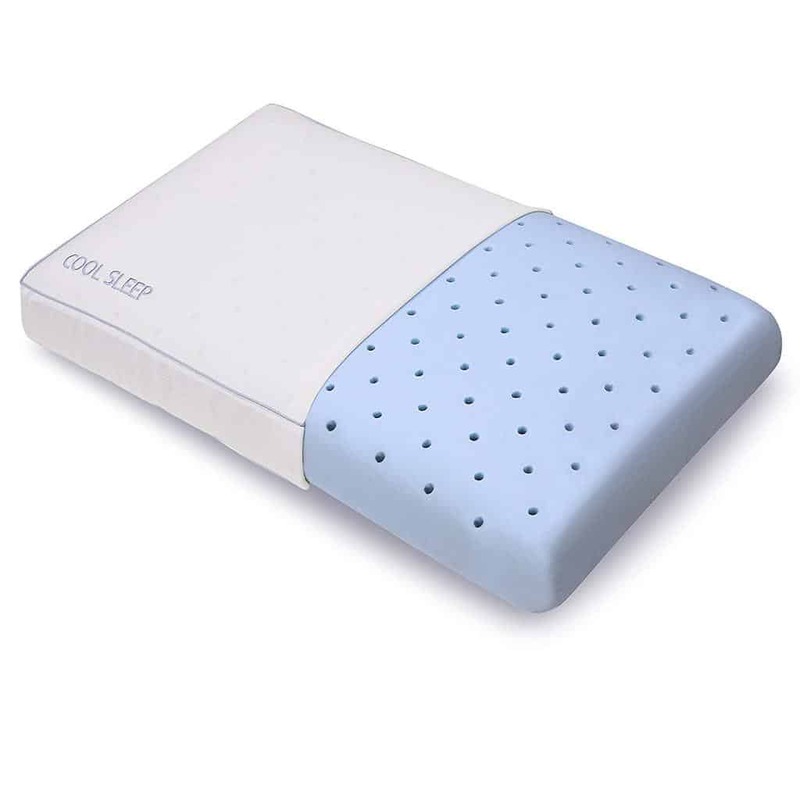 First thing first: the Classic Brands Gel Memory Foam pillow really stays cool all night long. The fiber used in it effectively wicks away moisture, ensuring you stay relaxed and cool under your head. It also uses a special kind of fabric for the pillow cover which keeps the surface cooler. If you like using memory foam pillows but find them becoming warmer as the night progresses, you might want to try this pillow. The Classic Brands Gusseted pillow is thick but not too thick. If you are a side sleeper, you are likely to find its height appropriate. It keeps the head tilted in a proper position. Back sleepers will find the pillow supports the neck and upper back well. The pillow, however, is a little on the firm side. You may find it a little too firm, at least in the beginning, if you are used to soft pillows. While the pillow works well for both sleeping on the back and the side, its shape makes it awkward to move around while sleeping. Click here to read other reviews and check prices. The pillow provides good support to the head and neck. You might find it very useful if you have neck pain, for the pillow does keep the neck well supported and at a proper angle, both while side sleeping and back sleeping. As far as dissipating the body heat goes, the Z Gel pillow does a good job. There are two reasons for this. One, the gel infused in the memory foam allows the foam to regulate the temperature better, preventing build-up of heat. Second, the bamboo velour cover it uses is highly breathable, besides being luxuriously soft. Another good thing about the pillow is that the cover is removable and washable. The cover, however, is not a zip-off cover, so you may have to struggle a little to put it back on. Ah, the smell of memory foam when you unpack it! There’s just no escaping it! A lot has been said about that, so I am not going to waste any further words on it. Just let the pillow air out for one, two, or three days (more if needed) to get rid of the smell. Click here to check current prices on Amazon. Love the softness of a memory foam pillow but can’t the heat build up? Well, then, you might want to give this reversible pillow a try. Memory pillows do get a little warm in the night, and whenever I use one, I end up flipping it umpteen times during the course of the night to search for a cooler side. This pillow ends that problem. Just turn to the Gel side if you feel warm under the head. The other good thing about two different sides is that you get two different levels of firmness—a good feature for those who sometimes like a soft pillow and sometimes a firm one. The foam side is soft while the gel side is medium-firm. Another plus point of this pillow is its zip-off, machine washable cover. However, the strong factory smell is a big turn off. Air the pillow for a few days before using. Click here to read other reviews on this pillow. The Dreamfinity Pillow provides good cushion under the head, and nicely cradles the head and neck. But it’s really a little on the soft side—a great thing for those who love soft pillows but not good news for those who prefer thick and firm ones. Thanks to its Hydraluxe gel technology, the pillow stays cool all not long. Its breathable mesh cover also plays a role in ensuring you stay comfortable under the head. The cover is removable and machine washable. It smells a little too strongly when you un-wrap it. You might have to air it out for a few days (I had to air it for three) to get rid of the odor. That said, if you absolutely want to use it immediately, put a pillow case over it and then try. I did that, but the smell still pricked me. For some users, however, the workaround worked fine, so it’s worth a shot. Click here to read reviews and check prices. The pillow combines the comfort and support of Memory Foam with coolness of gel. The pillow is much like other quality memory foam pillows, but, thanks to the gel content, it regulates temperature much better—and that can be one big difference for those who like memory foam pillows but for its propensity to become warm. The pillow cover is 100% cotton (250 thread count), removable, and washable. However, there’s no zip in there, so a little effort may be needed to remove or put it back. Another good thing about it is its 3-year warranty. Not many gel pillow come with a warranty. If you like products that carry warranty protection, you might want to check out this pillow. The pillow smells—rather too strongly—when you open it. Unless you don’t mind plastic-like smell, you will have to air it out for a few days before you can put it under your head.